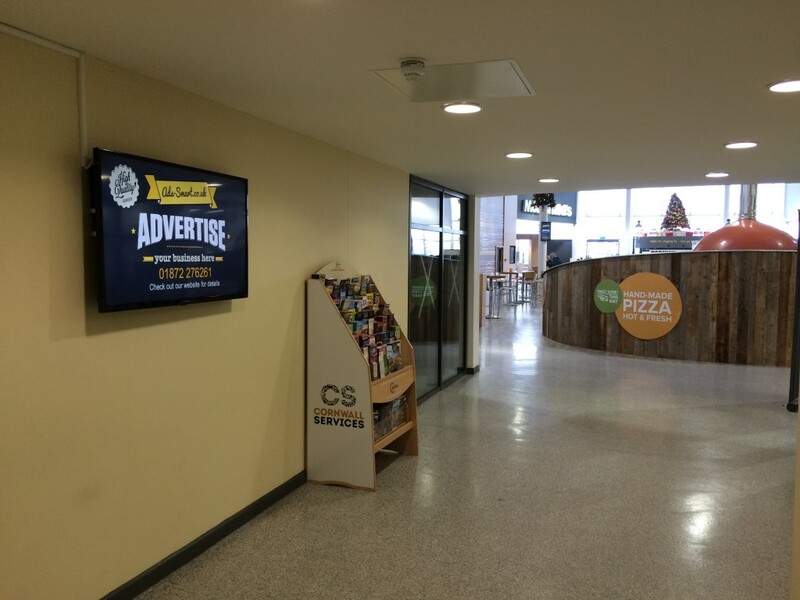 We have five 50″ advertising panels at the Cornwall Services site. 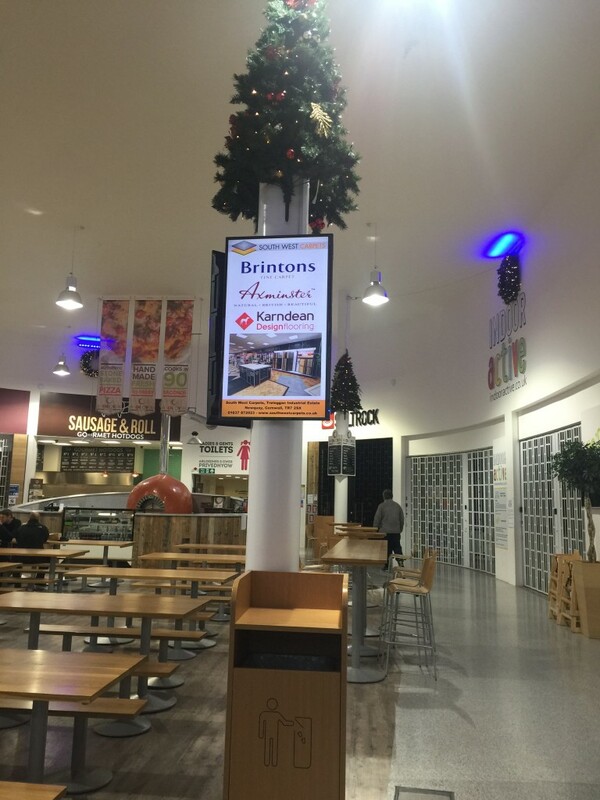 we have two portrait screens facing the food court capturing the audience whilst they eat. 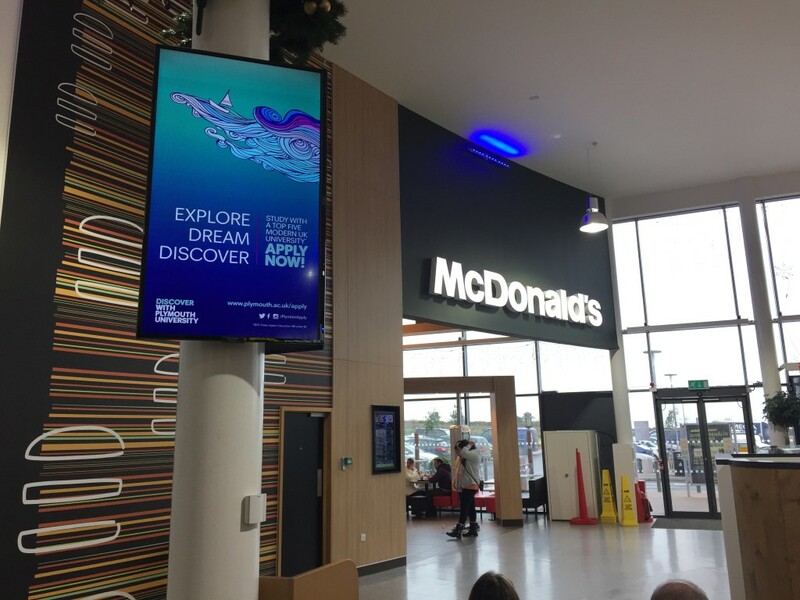 Two advertising screens facing the entrance capturing the audience as they enter the site and a 50″ landscape advertising panel near the entrance to the toilets. There tends to be children’s coin operated machines in this area and is a collection point for people. 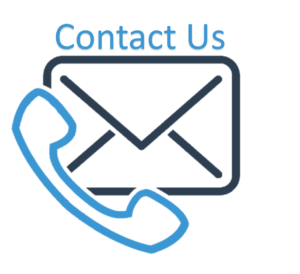 So whilst parents are waiting for children they can be looking at your amazing adverts to show them where to take the kids next.